The Buddha described “Nirvana” as the perfect peace of the state of mind that is free from craving, anger, and other afflicting states (kilesas). The Buddha says of “Nirvana” that it is “the highest happiness”, an enduring, transcendental happiness…. To us, Nirvana is a state of mind; it is a sense of peace and tranquility that we both feel on different levels when we are in Placencia. Placencia holds fond childhood memories. We both separately spent many holidays in the village of Placencia. It was quite different back 50 years or so as you can imagine, but the joy that it held for us back then remains in our hearts today. As adults we continued to visit Placencia, and we brought our two daughters, Kirsten and Tara who both fell in love with Placencia. Our grand daughter Jelan, is also experiencing some of the same freedom, happiness and general sense of belonging in Placencia. We love the village, the people and the feeling of just “belonging”. This is what our Belizean Nirvana offer, and we would like to share it with you. 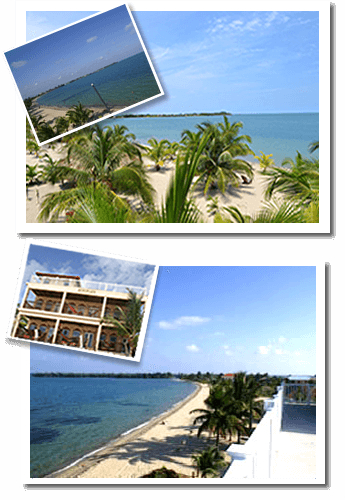 How did we come to build a hotel in Placencia? Well a few years ago we started a tour business with two very good friends of ours, Karen and Hubert (Tuca) Young. Then the opportunity to buy a piece of land was presented to us with the help of Dwayne Young, Karen and Tuca’s son. Our original plan was to build a house for us to spend our holidays and eventually live in once we retired. So if you ask us, did we know that we would go into the hotel business? The answer is no, it was not on our radar or in our plans. It was one of those things that just happened, come together, fit, an “AHA” moment, then it became a reality. It was a long process that started with many discussions with my brother and sister-in-law Anthony & Betty Parks. They have both been extremely influential and involved in this project. Anthony designed Nirvana and Betty helped with the design and they both gave generously of their time to spend it in Belize to help Evan oversee the completion of the project. We are grateful and truly appreciate everything they have done for us and continue to do. We love Nirvana; we hope that you will too. Come stay with us and experience your peace, tranquility and sense of belonging.